Warwick Davis thinks 'Star Wars: The Force Awakens' is going to be an "amazing moment" for cinema. The 44-year-old actor - who starred in 'Return of the Jedi' as Ewok Wicket - has been cast in the much-hyped sci-fi sequel and he's revealed he can barely contain his excitement for its release. Warwick told BANG Showbiz: "What I'm most excited by is chance to see members of the old cast in the poster. "I've been a fan of 'Star Wars' ever since the first film ['Star Wars Episode IV: A New Hope'] came out in 1977. This just feels like an amazing moment." Warwick also played several parts in 'Star Wars Episode I: The Phantom Menace', including Greedo the Elder. He recently confirmed he will star alongside returning cast members Harrison Ford, Mark Hamill and Carrie Fisher, as well as new faces John Boyega, Daisy Ridley and Oscar Isaac, in the eagerly-awaited seventh film in the franchise. Warwick revealed the news via the official 'Star Wars' YouTube account by posting a spoof video - titled "Will Warwick Davis Appear in Star Wars Episode VII?" - showing him sat by his phone waiting for a call from director J.J. Abrahams. 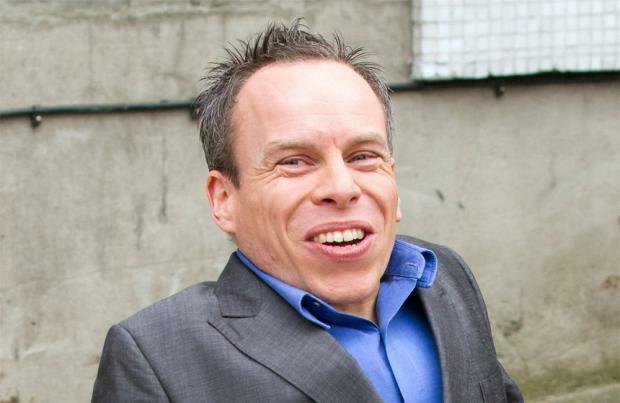 When he finally gets the call, the actor is heard saying on the line: "Hello Warwick Davis. Yes J.J. hi. Would I like to appear in 'Star Wars: Episode VII'? Let me think about it. Just got to check the diary, yep good."